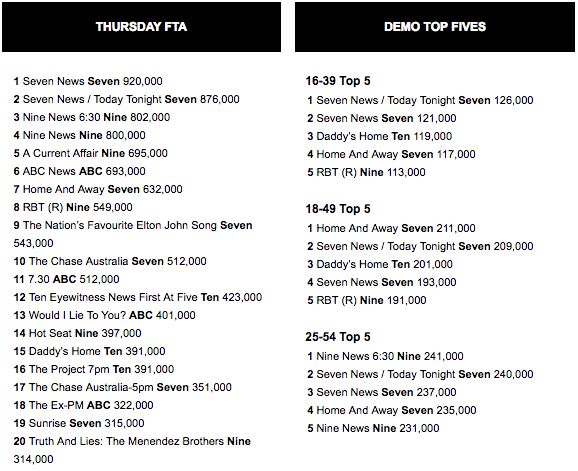 The last night of Home and Away in survey for the year saw the show on 632,000. 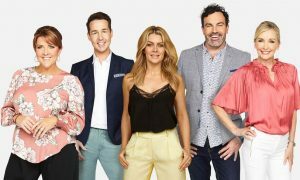 The channel then celebrated the last day of spring with a definite summer show – The Nation’s Favourite Elton John Song with 543,000. We shouldn’t beat it up too much though – Elton made the top 10 and even managed to outrate the ARIAs earlier in the week. Our last look at A Current Affair for the year saw Tracy Grimshaw congratulate Walkley Award-winning reporter Dimity Clancey for her story on killer Malcolm Naden. The Thursday episode did 695,000. An hour of RBT then did 549,000. The doco Truth And Lies: The Menendez Brothers followed with 314,000. The late screening of Wolf Creek was on 122,000. 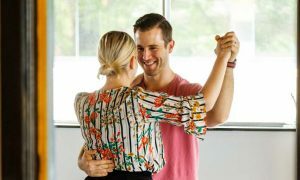 Our last look at The Project for 2017 and the Thursday episode featured ABC host Barrie Cassidy and global traveller, host and actor Daniel MacPherson with 391,000 watching at 7pm. Even though it was late in the week, those 7pm numbers have been dropping on other nights too. The second episode of Cram! for the week did 285,000 after 290,000 on Wednesday. Daddy’s Home was the channel’s Thursday movie with the audience climbing to 391,000. This was the same as The Project 7pm and 100,000 better than Cram!. Season finals for a couple of programs last night. It was great to see John Clarke at work in the final episode of The Ex-PM with 322,000 watching. The Dream Factory followed on 260,000 and then the series final of Back on 170,000. 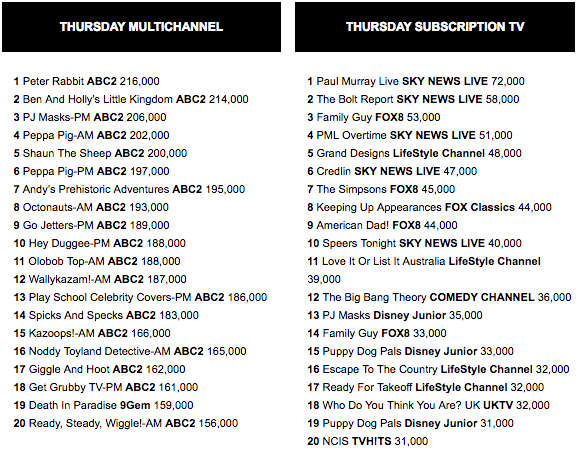 The third of the three Struggle Street episodes this week was on 265,000 after 285,000 on Monday. It was narrowly outrated by Great British Railway Journeys at 7.30pm on 270,000. Food Safari Earth at 8pm was on 239,000. The premiere of Chance featuring Hugh Laurie was on after 9.30pm with 98,000 watching.